Eagles hold a unique allure among birds for their combination of power, grace, and predatory prowess. Captivating the human imagination, these raptors have symbolized pride, freedom, and independence of spirit since humankind’s earliest times. This book, unlike any previous volume, encompasses each of the world’s sixty-eight currently recognized eagle species, from the huge Steller’s Sea Eagle that soars above Japan’s winter ice floes to the diminutive Little Eagle that hunts over the Australian outback. Mike Unwin’s vivid and authoritative descriptions combined with stunning photographs taken or curated by David Tipling deliver a fascinating and awe-inspiring volume. 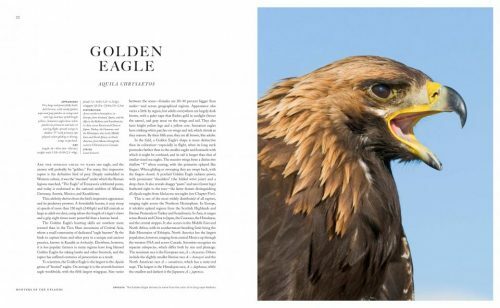 Featuring chapters organized by habitat, the book investigates the lifestyle and unique adaptations of each eagle species, as well as the significance of eagles in world cultures and the threats they face from humans. 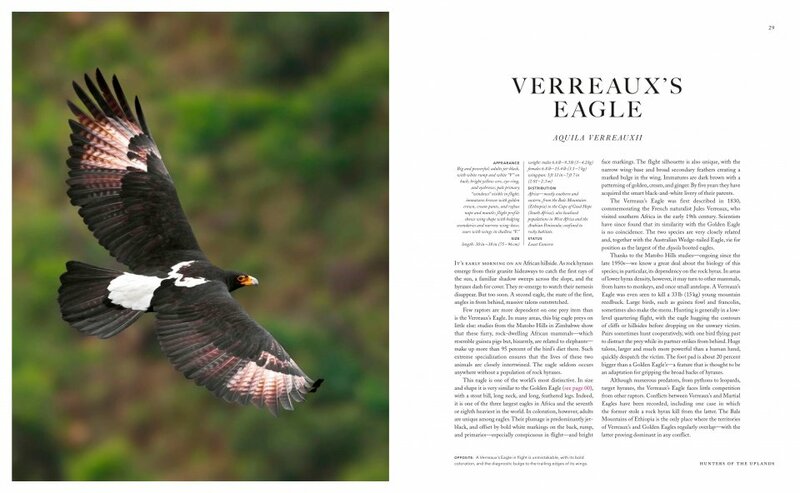 A gorgeous appreciation of eagles, this book will dazzle both eye and imagination. Yale University Press, November 2018. 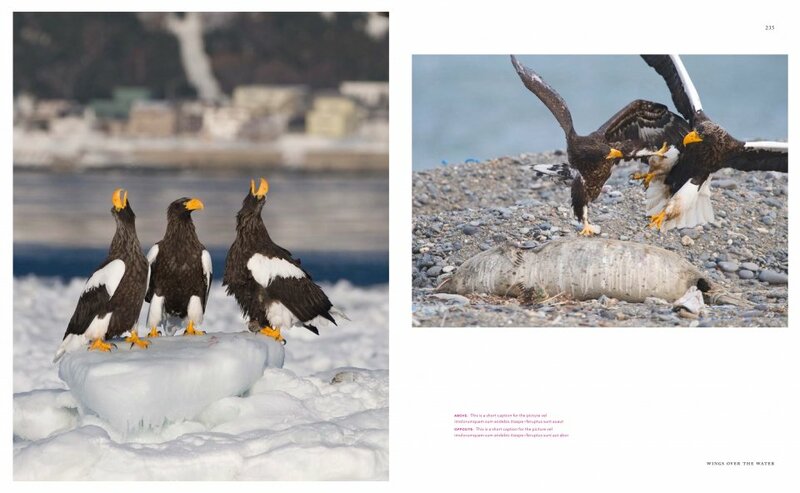 288 pages, hardcover, 400 colour photos. The majestic Bald Eagle was adopted in 1792 as America’s official bird. It has historically been a symbol of freedom and patriotism in the United States of America, and for good reason. 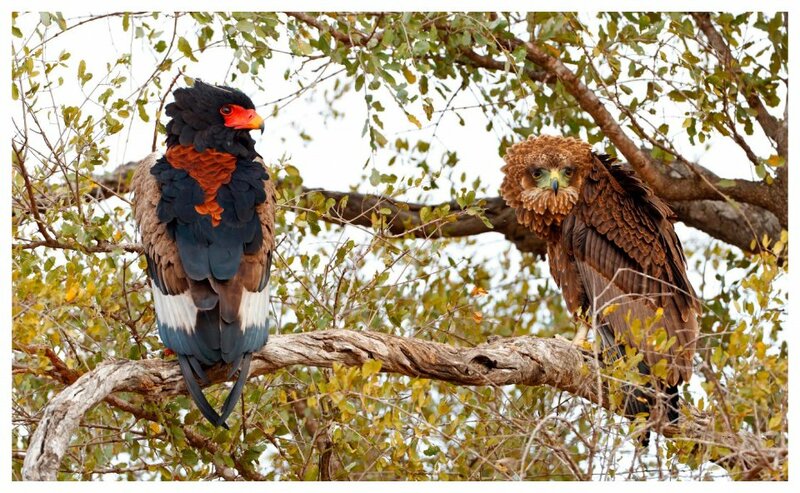 The bird is associated with authority and has a fierce beauty that speaks to those who look upon it. Today, the Bald Eagle is a protected species. Once on the brink of extinction, it is currently enjoying a comeback. 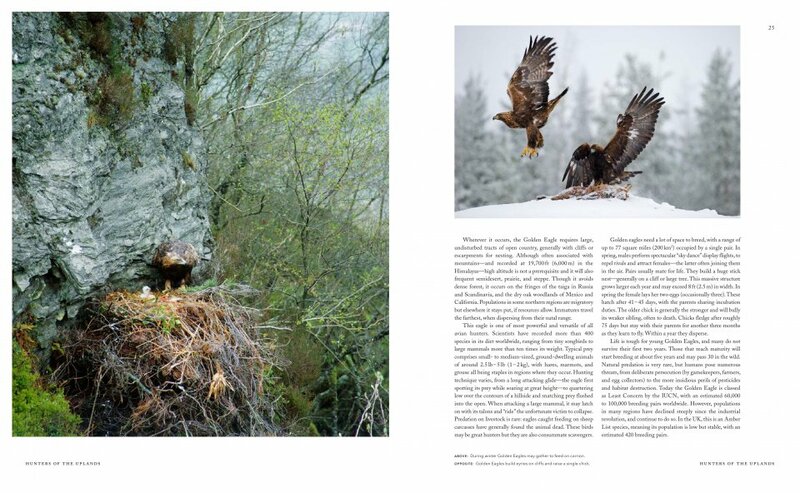 In this book, wildlife and bird photography specialist Jeffrey Rich showcases over 150 of his storytelling photographs of Bald Eagles and shares insights into the birds’ habitat, feeding habits, mating patterns, the care of their young, and more. 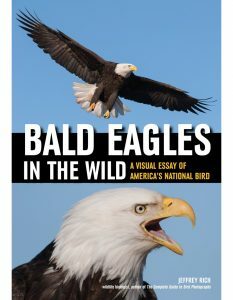 Readers will marvel over images of birds in flight, in nests with their young, at rest, preening, and capturing prey, as Rich chronicles the daily lives, in detail, of America’s favourite bird. The peregrine falcon: stories of the blue meanie. 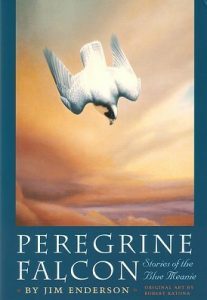 Examines the decline and recovery of the Peregrine falcon in North America. Also available in hardcover, POA. 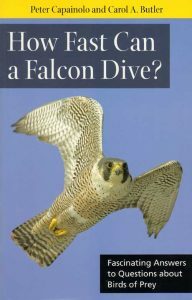 How fast can a Falcon dive? Fascinating answers to questions about Falcons. Artist/Author: Capainolo, Peter and Carol A. Butler. 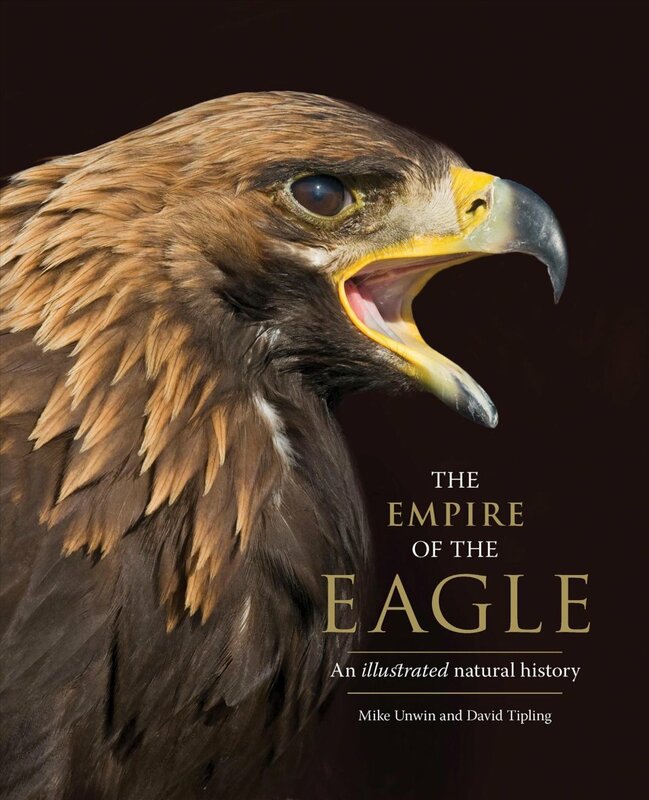 Explores the world of raptors in a way that will appeal to bird lovers and biology enthusiasts alike. This colorful volume is complete with more than fifty-five color and black and white images from photographers and artists around the world. In a reader friendly question and answer format, ornithologist Peter Capainolo and science writer Carol A. Butler define and classify raptors, explore the physical attributes of birds of prey, view how their bodies work, and explain the social and physical behaviours of these species-how they communicate, hunt, reproduce, and more. Capainolo, who received one of the first falconry licenses issued in New York state at age eighteen, relates his personal experience in falconry to describe raptor training and husbandry where the human-bird interactions are complex. 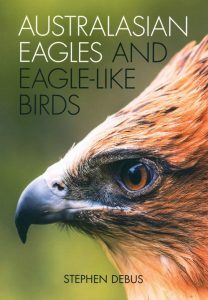 From stories of red-tailed hawks making their homes on the ledges of Manhattan skyscrapers to their role in protecting California’s vineyards from flocks of grape-loving starlings, this book explores how these avian predators interact with people and with their environment.